Critics of Manmohan Singh tend to believe he is a neo-liberal economist, but this is, of course, nonsense. The term ‘neo-liberal’ is often an epithet hurled by their anti-capitalistic critics at the proponents of the market economy in India. I have never read a free-market economist who used the term ‘neo-liberal’ to describe his position. As Sanjaya Baru observes in his memoir, like many economists of his age and times, Singh is a Keynesian. had said he was always an opponent of Indian policy makers’ opposition to free trade. He had then recently visited South Korea and felt there was a lot India could learn from South Korea’s economy. Many of his contemporaries would not have fully understood what this meant. When India gained Independence, both India and South Korea were impoverished nations. South Korea’s per capita income was higher than that of that of India. But, in many ways, South Korea did not have the advantages India had, like the infrastructure and the institutions the British had built. India was rich in natural resources when South Korea was not. However, when India opened up the economy in 1991, South Korea’s per capita income had risen up several times. India was desperately poor. If Indian public and policy makers had understood the virtues of free trade in 1947, India would not have faced a crisis in 1991. India would have been a rich country, like South Korea is, today. 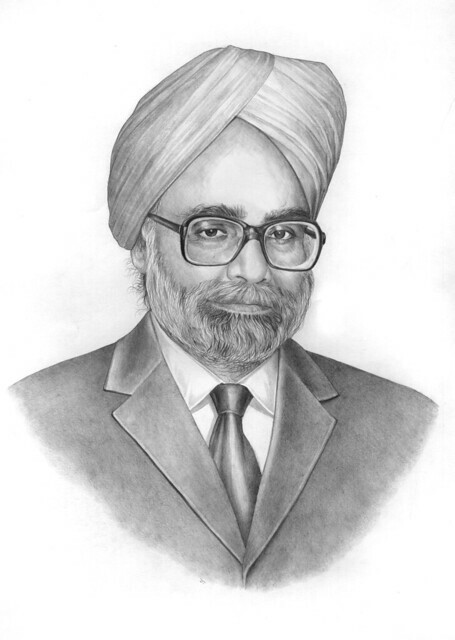 Read my piece on The Accidental Politician: The Making and Unmaking of Manmohan Singh in DNA. Why do liberal intellectuals hate Narendra Modi? Enter your email address, and get email notifications of my blog posts. Why Do Sexual Crimes Against Women Bother Us So Much?